Last month I had the awesome opportunity to collaborate with Amanda Herring as she released her new fabric line, Desert Bloom. Amanda was presenting the line at a retreat and needed some beautiful cookies to give the attendees as gifts. Aren't these beautiful? 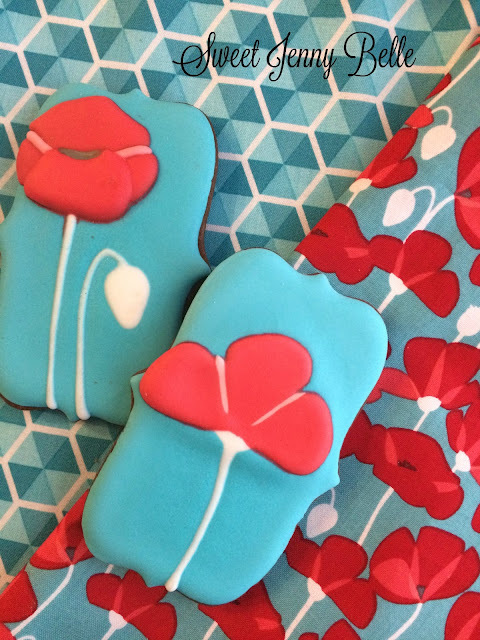 I loved creating cookies with her fabric design - I heard they were a hit! 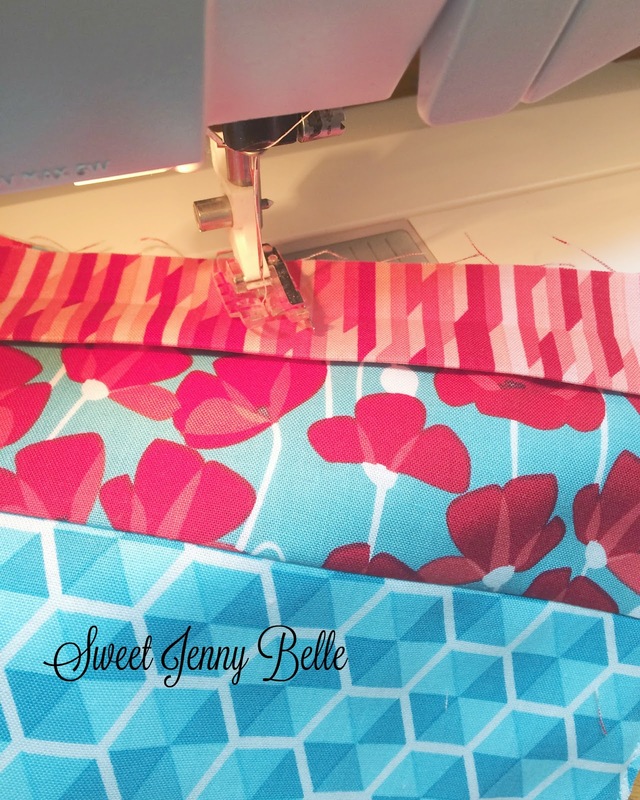 I couldn't wait for the chance to sew with her new fabric line. I thought it would be fun to create some potholders since everyday I have hot pans in my hand. Do you want to make them? They are easy! 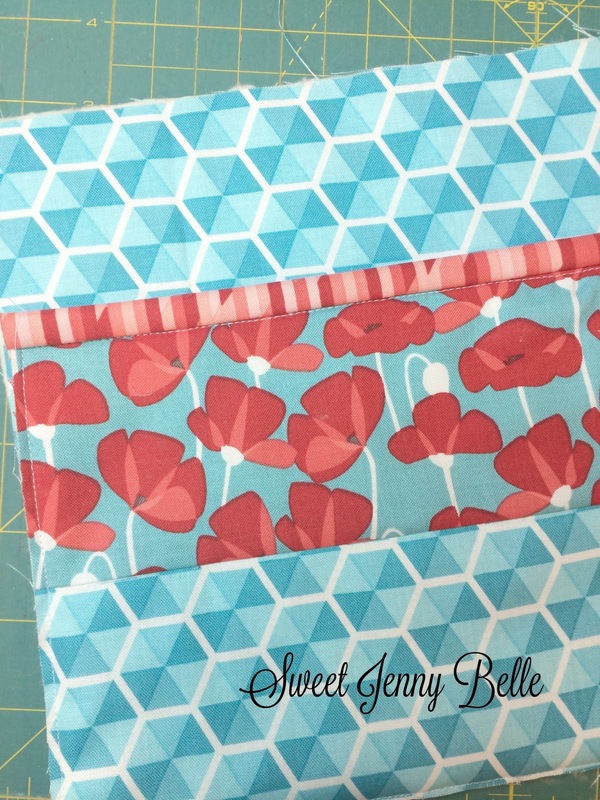 Batting: (2) 8" squares and (1) 6"x 8"
Desert Hexies Blue: (2) 8' squares, (1) 6"x 8" and (1) 3.25"x 8"
Desert Poppy Blue: (1) 3.25"x 8"
Desert Stripe Red (1) 2.5"x 40" and (1) 2.5"x 8.5"
Pin the desert hexies blue 3.25"x 8" to the desert poppy blue, 8" sides right sides together. Sew with a 1/4" seam allowance and press. Lay the desert hexies blue 6" right side down, layer with the 6"x 8" batting and then the pieced pocket top right side up. Baste all sides with 1/8" seam allowance. Quilt if desired. Fold and press the desert stripe red 2.5"x 8.5" to create a binding. Pin the raw edges of the binding to the raw edges of the pocket top. Sew the fabric pieces together with a 1/4" seam allowance and press to the back, stitch in the ditch to secure the binding to the back. Lay one 8" desert hexie blue right side down, layer the two remaining batting pieces and the last 8" desert hexie blue on top, right side up. Place the pocket right side up, bottoms lining up. Pin and baste with 1/8" seam allowance. Fold and press the desert stripe red 2.5"x 40" to create a binding for the potholder. 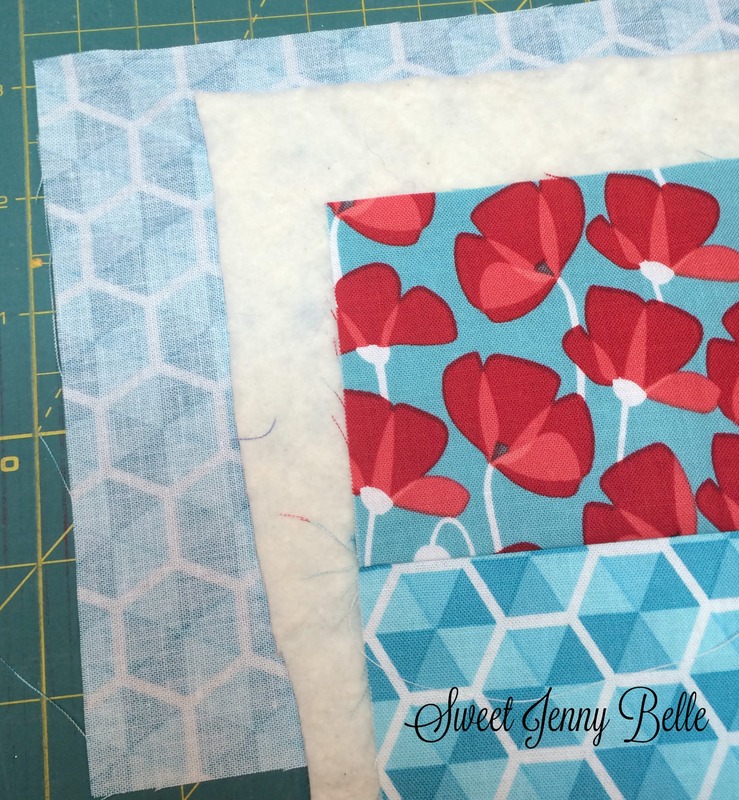 Pin the binding, raw edges together to the perimeter and stitch with a 1/4" seam allowance. Press the binding to the back and stitch in the ditch. And that's it! Isn't it super cute? 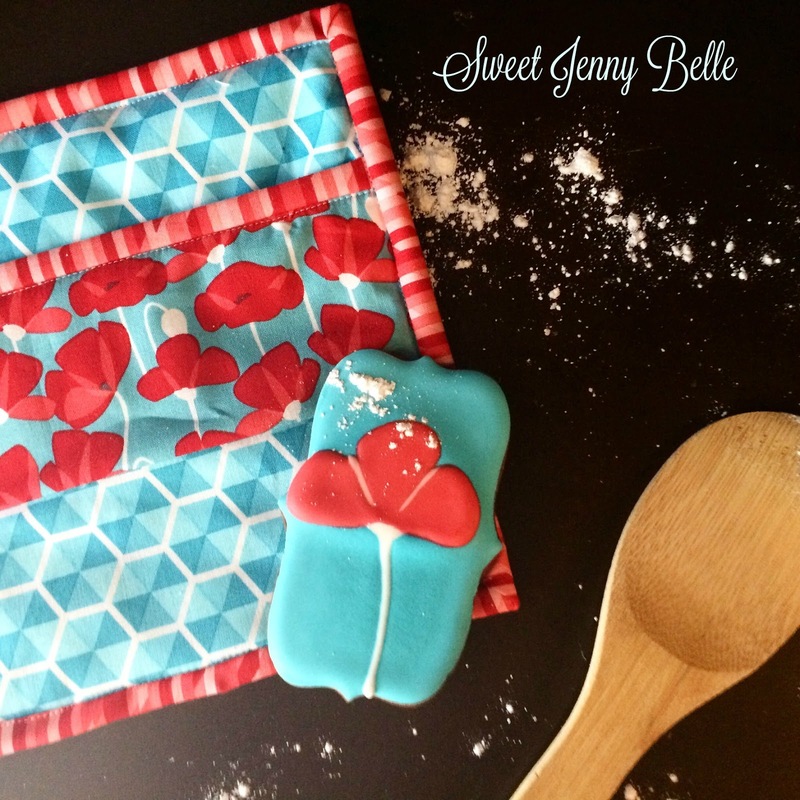 I think this potholder, a dozen cookies and a beautiful wooden spoon would make the most perfect hostess gift! 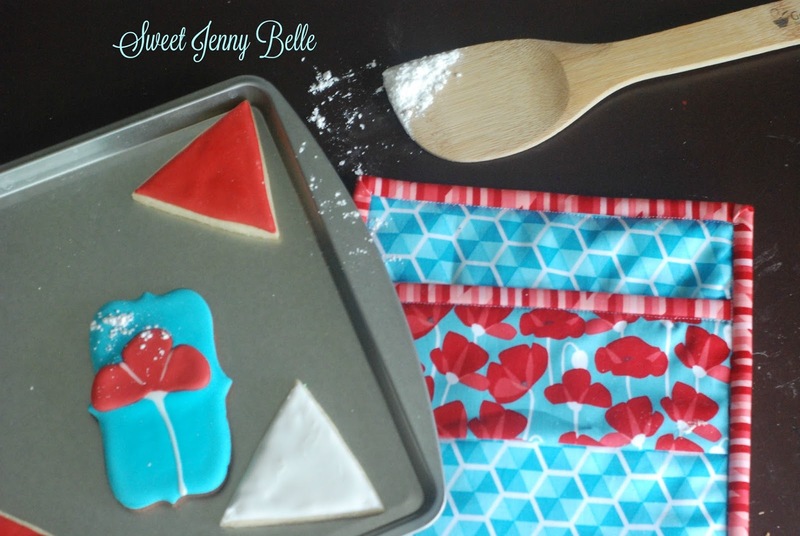 I hope you try this easy sewing tutorial and of course some coordinating cookies.